There’s nothing better than Chicago in the summertime, especially when you get to spend it with your special someone. 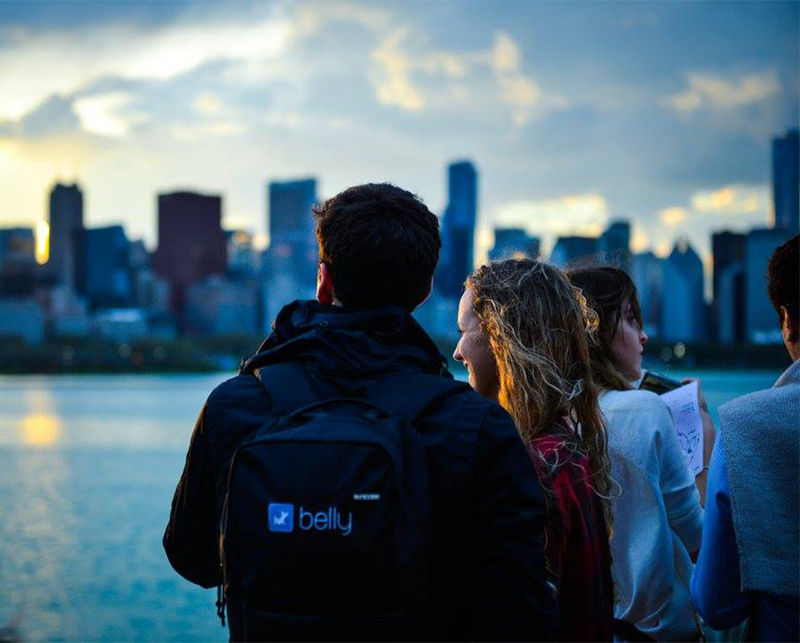 Whether it’s taking a stroll along the lakefront or exploring a new neighborhood there is so much to do around the city. To help you plan your next perfect date night, we’ve created a list of some of the best places to bring your guy or gal. From fun and cozy dinner spots to a romantic cruise on the water, this list is sure to inspire your next date night. Twice a week the already special Chicago By Night! Cruise gets a little more romantic. On Thursdays and Fridays all season long, guests get the opportunity to purchase two tickets plus a bottle of wine to share for $60 (retail $94). Take in all of the beauty of Chicago with your loved one as you glide along the Chicago River and Lakefront. 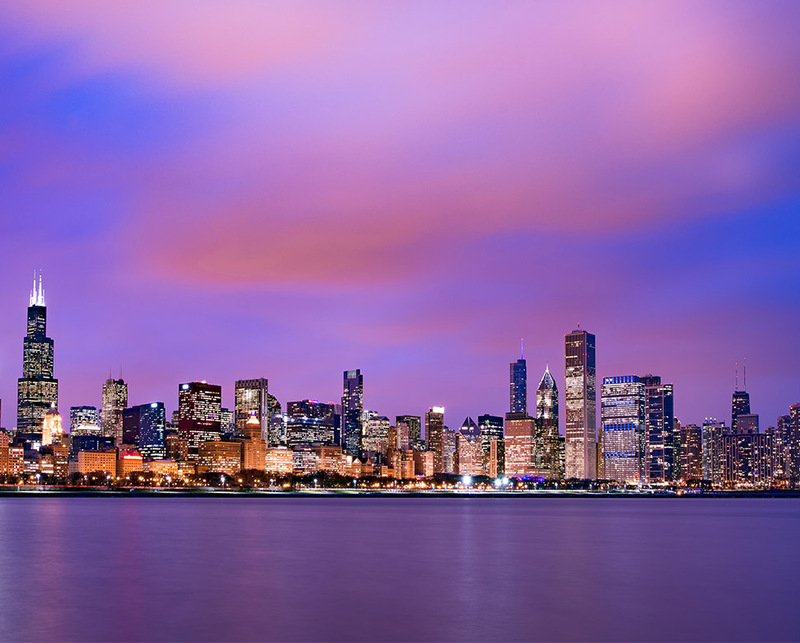 Enjoy the breathtaking views of the dramatic skyscrapers and Buckingham Fountain’s spectacular light display. 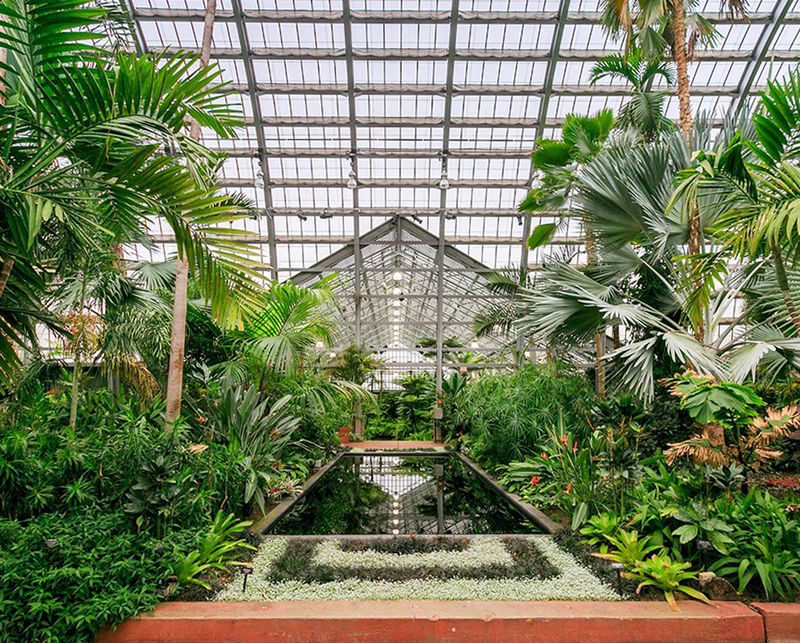 The Garfield Park Conservatory, is one of the most beautiful places in the city. Brimming with exotic and lush green plants, at night this place transforms into a lovely romantic spot. Walk around the winding paths with your partner as you two explore the nine indoor gardens and more than 10 acres of outside garden space. Admission is free, but donations are happily accepted. The 3 Arts Club Cafe is the perfect spot to cozy up for a dinner date. They not only offer a curated menu inspired by Northern California and Mediterranean cuisine but also a stunning dining venue. 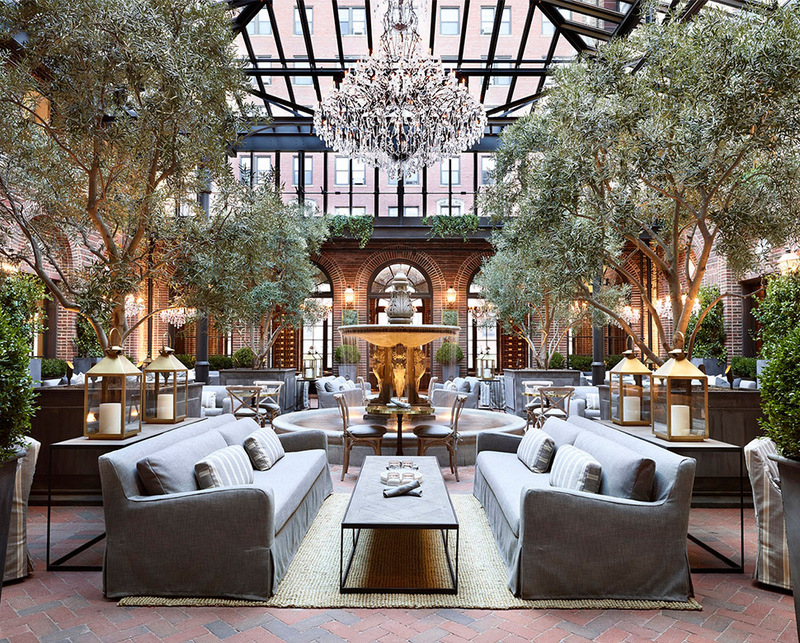 Guests may choose to dine in the Grand Courtyard, a light-filled, all-season oasis featuring a restored historic fountain and Heritage olive trees, or anywhere else in the gallery. The cafe is owned by Hogsalt, the same people who bring you other Chicago favorites such as Green Street Smoked Meats, Au Cheval, C.C. Ferns, and Doughnut Vault. Sit back and enjoy some laughs where many of the comedic greats got their start. The Second City has been home to Steve Carell, Stephen Colbert, TIna Fey, Amy Poehler, and many more. 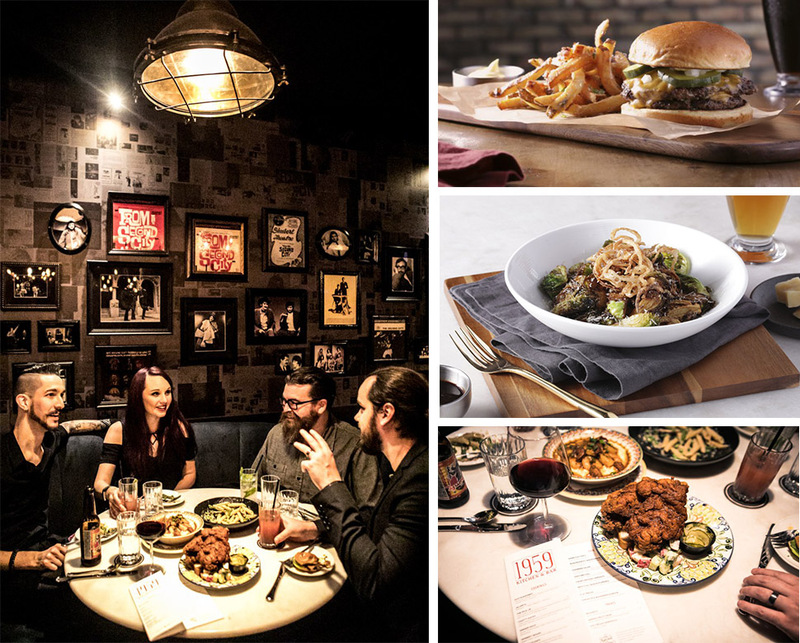 Before the show enjoy Second City’s own 1959 Kitchen & Bar, located in historic Pipers Alley. Emphasizing sustainable, certified humane, organic and regional ingredients, the menu ranges from savory pub fare to more specialty dining options. The third Thursday of every month, Adler Planetarium stays open late to give guests the opportunity to experience a night at the museum. Tickets include 4 hours of full museum access, special guests and lectures, unlimited sky shows and best of all access to the Doane Observatory. Experience the sharpest and brightest view of our Universe with your special someone, for a date they won’t soon forget. They say learning something together can bring a couple closer and at The Chopping Block you can do just that. The Chopping Block is a recreational cooking school that combines education and entertainment, with cooking classes at various levels. From italian steak to neapolitan pizza learn not only how to make a tasty dish but also work as a team in the kitchen. Watch a movie at one of the most beautiful parks in Chicago. 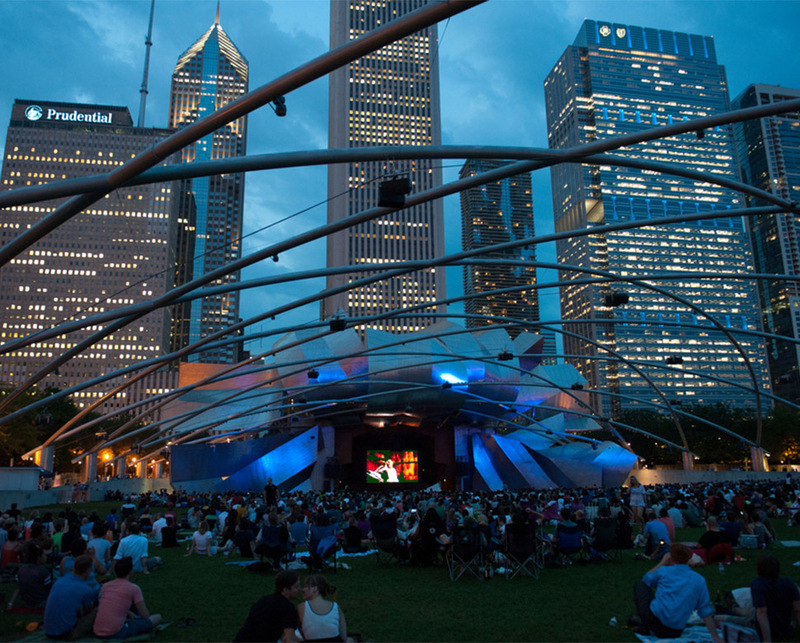 The Millennium Park Summer Film Series runs from June 5th through August 21st. Enjoy classics such as Groundhog Day, Iron Giant, and Coco underneath the stars. 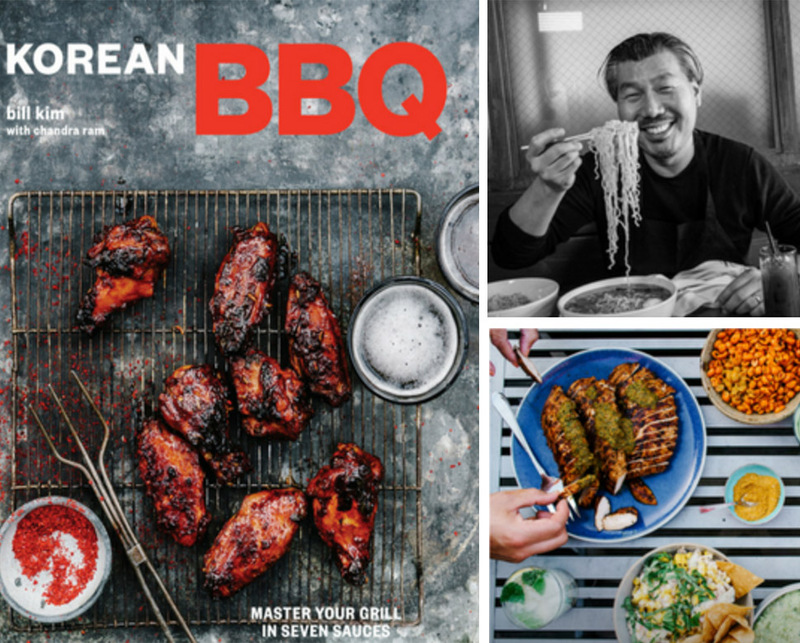 Gather blankets, chairs, and snacks to make it a night to remember. See the movie schedule here.